Chesney Henry "Chet" Baker Jr. (Yale, Oklahoma, 23 December 1929 - Amsterdam, 13 May 1988) was an American jazz trumpeter and singer. 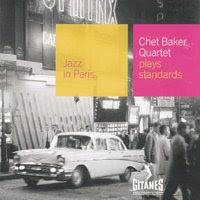 Specializing in relaxed, even melancholy music, Baker rose to prominence as a leading name in cool jazz in the 1950s. Baker's good looks and smoldering, intimate singing voice established him as a promising name in pop music as well. But his success was badly hampered by drug addiction, particularly in the 1960s, when he was imprisoned. He mounted a successful comeback in the '70s, but died in 1988 after falling from a hotel window.